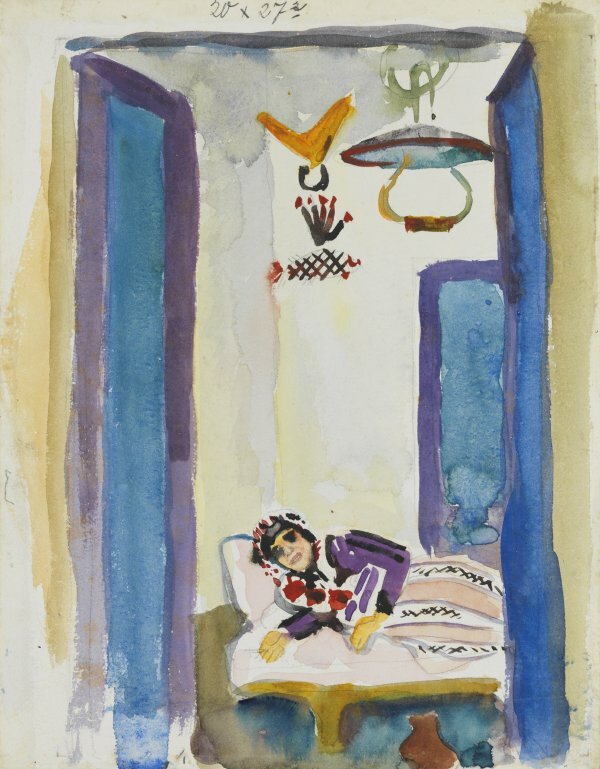 In the spring of 1914, during his trip to Tunisia with Paul Klee and Louis Moilliet, the young Macke summed up and broadened the pictorial discoveries made until then and produced over thirty watercolours, one of which was this small work belonging to the Thyssen-Bornemisza collection. The artist, whose head was no doubt filled with literary representations of the Orient and images seen at the great exhibition of Islamic art held in Munich in 1910, did not plan his expedition to Africa in a Romantic or Symbolist vein as a flight towards the exotic. He set out in search of not cultural but aesthetic experiences, and his travels had a very specific goal from the outset: to experience for himself the light and colours of North Africa. Precisely this luminosity, the intensity of African Mediterranean light which had moved Delacroix and dazzled Matisse, whom he admired, marked a revelation for Macke and helped his ideas on the liberation of colour fall into place. Macke discovered the geometrical structures that underlie Tunisian architectural forms and, at the same time, produced several watercolours of themes inspired by harems, such as the present Woman on a Divan. The tragic fate of the young Macke, who died on the battle front only months later, has left unanswered the question of where this enriching experience would have led him. 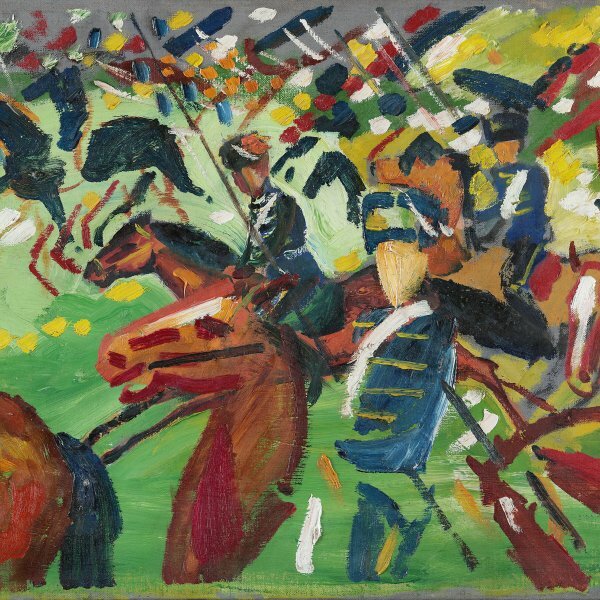 But the First World War not only cut short Macke’s promising career; it also thwarted many of the aspirations of German avant-garde art.